Register by 4/9 for discounted rates and a chance to win an Oculus Go Standalone Virtual Reality Headset! Please check our calendar of events for a comprehensive list of upcoming events. Join us on May 4th! Event Details - Sign up or make a donation. 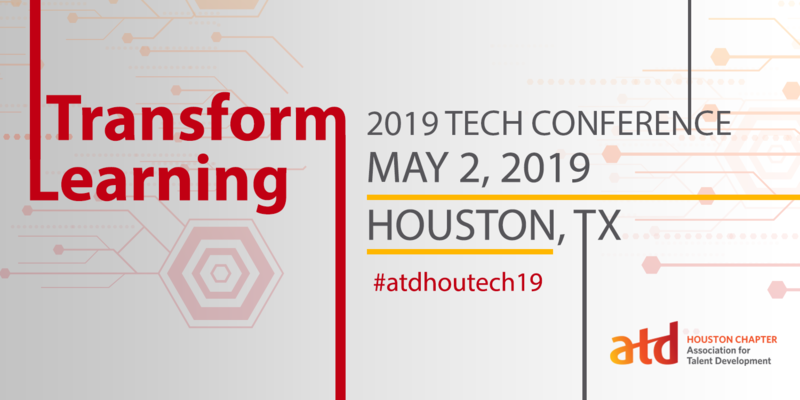 The ATD Houston score card is a snapshot of how we are doing as a chapter. It includes details on membership, meetings and finances. As part of our ATD chapter affiliate requirements, Power Members (members of both local chapter and ATD) represent at least 50% of our membership. Check out out upcoming professional development workshops - amp up your skills! Click the image to visit the sponsor website.